Eligibility: Active, Retired, Reserve, 100% Disabled Vet, Commissioned Corps of Public Health Service & the Commissioned Corps of the National Oceanic & Atmospheric Administration on active duty can purchase tickets for themselves and up to five additional family members or friends. Sponsor or spouse must accompany ticket holders. Unaccompanied dependent children are not eligible to purchase these tickets. No more than six Salute tickets can be purchased by any eligible sponsor under this offer. 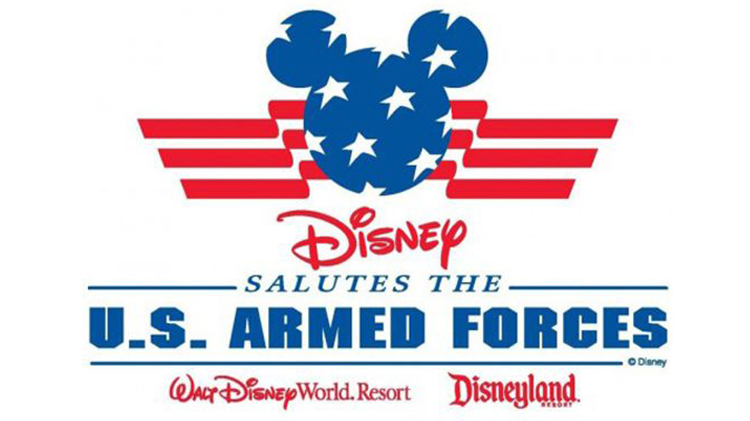 For more information see: Disney Salute. Tickets must be used by December 19, 2019.